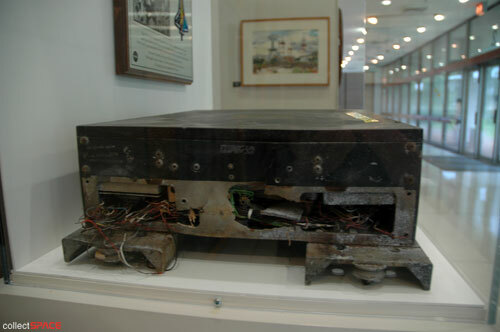 We've had several discussions about whether recovered debris from Columbia, Challenger and/or the Apollo 1 capsule should be displayed. I know that there are some flags/patches that were found among the wreckage of the two shuttles that have since been placed at museums, including the National Air and Space Museum in Washington, D.C. and the Frontiers of Flight museum in Dallas, TX. 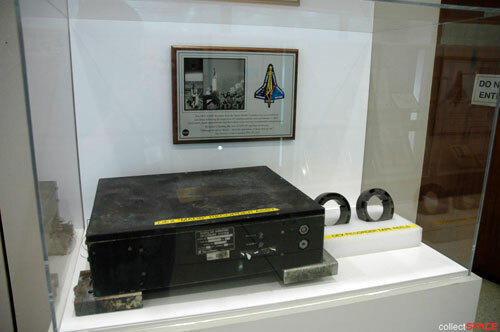 This OEX MADS Recorder from the Space Shuttle Columbia was recovered from east Texas following the tragic loss of Columbia and her crew on February 1, 2003. Great hearts, hands and minds devoted their talents to her recovery, reconstruction and preservation. 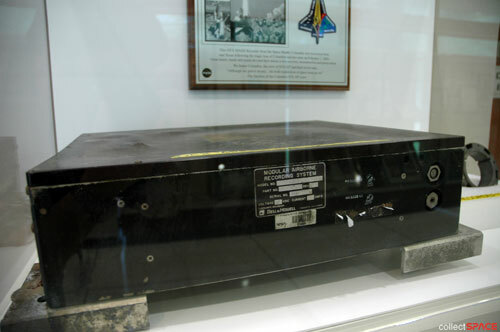 The last time I saw this same OEX recorder was on the 16th floor of the Vehicle Assembly Building at Kennedy Space Center in February 2004. 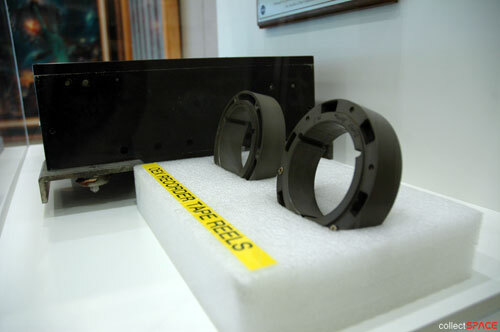 It was exhibited there as well, inside the "library" that had been established to preserve and document the STS-107 debris. My access then was part of a final media tour before the room was closed to all but researchers and a select group of employees. JSC's Building 2, which houses NASA's public affairs offices as well as the Teague Auditorium and a collection of historical artifacts (including a lunar landing training vehicle) is accessible by the public via the premium "Level 9" tour offered by Space Center Houston.